With the cameras currently rolling, the cast for David Green’s (Earth to Echo) Teenage Mutant Ninja Turtles 2 is slowly but surely coming together, with word from Deadline that Brittany Ishibashi (Emily Owens M.D., Political Animals) will be taking on the role of Karai, loyal member of the Foot Clan, and depending on what version of the story you’ve seen, is either the Shredder’s (played this time round by Brian Tee) successor or related to him in some way. 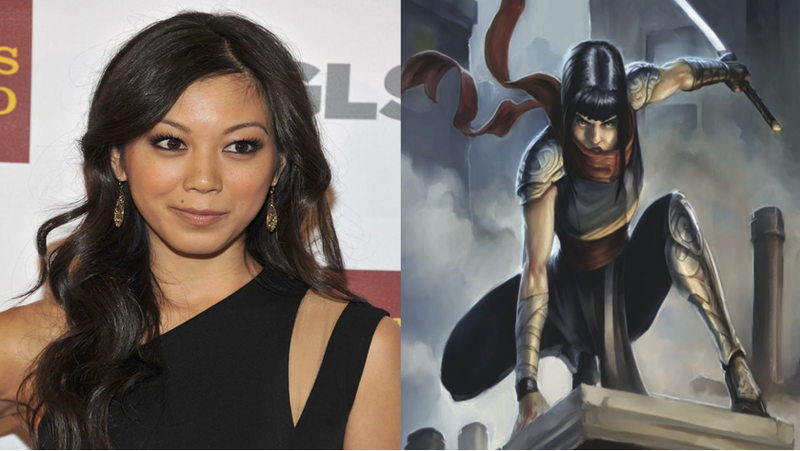 Karai was actually seen briefly in the the original movie, played by Minae Noji, but a bulked up role the second time round may have called for a recasting. Ishibashi joins the original cast, including Will Arnett and Megan Fox, swell as other newcomers, including Stephen Amell as vigilante Casey Jones, Tyler Perry as Baxter Stockman, and Gary Anthony Williams as the warthog part of fan favourite duo Bebop and Rocksteady.